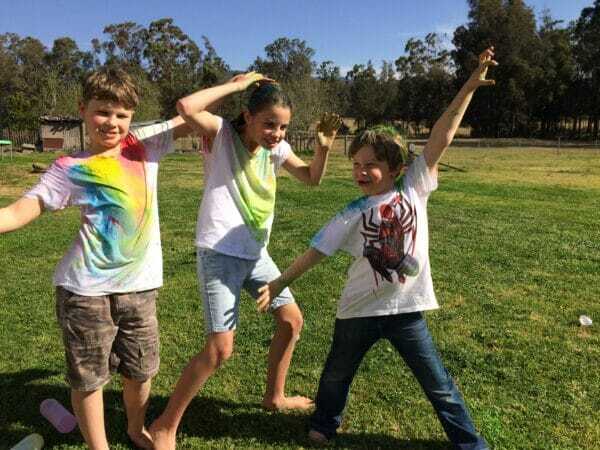 The most private, safe and enjoyable school group adventure camps Port Stephens NSW has to offer are right here at The Retreat Port Stephens. When I think about school camps, my fondest memories are all to do with the activities and games. Lots of fun, laughs and team work. That is our aim at The Retreat. To be able to create and customise school camp packages to suit each and every school. No matter the age, purpose for the camp,budget or where you are located, we are here to make the process simple. Now we have teamed up with Supercamps offering onsite facilitated activities. Super Survivor – Students are put into tribes and after making their own bandanna and war cry they must solve a series of puzzles and physical challenges to outwit and outsmart other teams. Super Colour Combat – Students are put into squads of colours they must complete physical challenges together to move onto the next level. The final level is a colour run against other squads which will ensure that everyone ends up covered in COLOUR! Super Wet and Wild – Everyone will be covered in water by the end of these two hours – a fantastic way to cool off during summer. 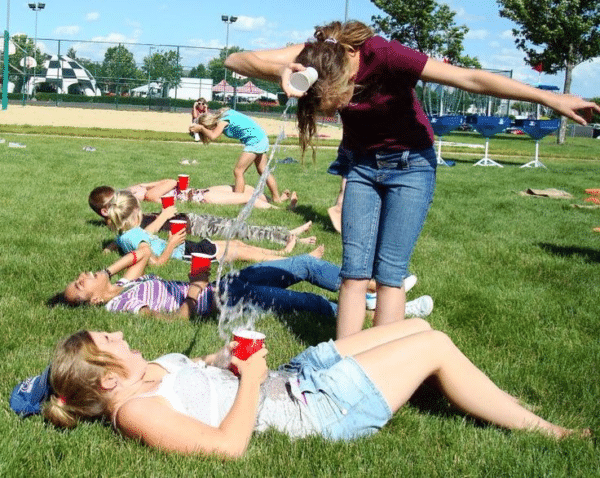 Water balloon races, Tsunami, whirlpool, shipwreck, pirate rescue are a few of our challenges in this fun day! World Challenge Warriors – Students compete against each other on a global level to perform different tasks related to countries from all over the world. The Great Super Caper – Groups complete initiative games where they have to work together to compete tasks. The final task involves teams having the realisation that working together and cooperating is mutually beneficial. Super Olympics – The super Olympics is a fun version of the real ones. Complete with an opening and closing ceremony modified races, throwing and jumping events teams compete in teams and age related events to win different events. A fun and fit 2 days for everyone. Bike riding – Approx 15 students at a time using local tracks. All equipment supplied with helmets and pads. Kayaking – Available for 1 or 2 hour sessions which includes fully supervised swimming in the bay. Approx 15 students at a time. Bush walks /Hiking – Our qualified guides take students on local hikes and are able to point out local history, fauna and flora. Supercamps is a business with a whole lot of experience behind it. Michele Goodman is a qualified and current primary school teacher. She started the business in 2017 after many years working as a youth worker, teacher and outdoor recreation instructor. SUPERCAMPS philosophy is for kids to be safe, have fun and learn in that order! Students are placed into leadership groups and travel around Port Stephens on buses to complete a series of challenges. These involve finding clues, complete puzzles, managing a team budget to buy food and physical challenges such as dance offs and cook offs plus more. Each student is in a leadership group which takes turns to lead the group to find their food and activities. 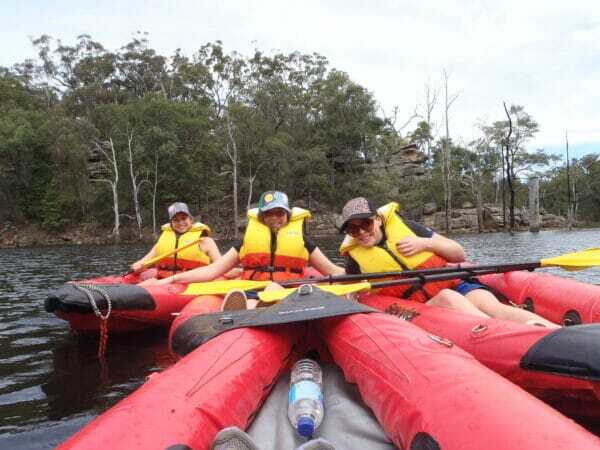 The school adventure camps Port Stephens specialists The Retreat Port Stephens in NSW is now working with Supercamps. Teaching kids about leadership, teamwork, social skills, communication and lateral thinking. Overnight and 2 night packages are available including meals, accommodation and lots of games. To find out more information about how we can make the planning of your next school group at The Retreat please SUBMIT YOUR ENQUIRY and we will in contact.